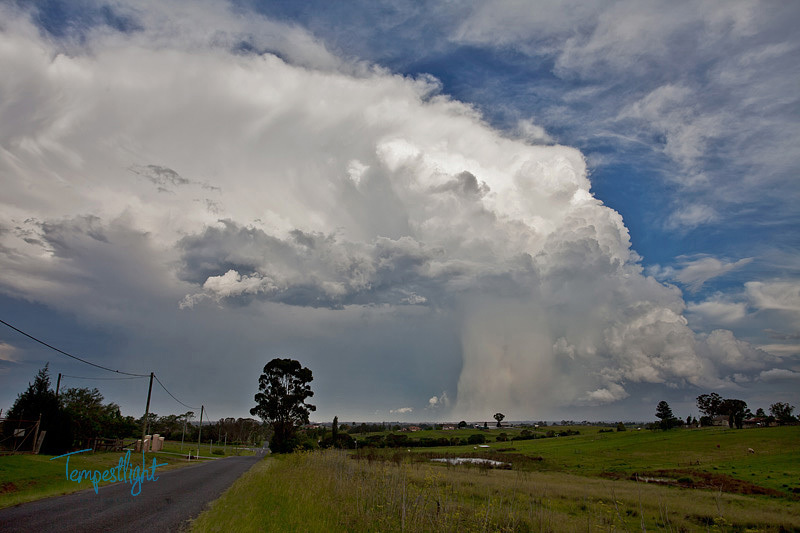 There were some nice cells around Sydney today and this afternoon saw a pair of thunderstorms cross the Western Suburbs from North to South. 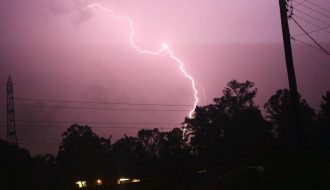 The first cell produced some spectacular clear air lightning bolts which struck many kilometers ahead of the storm. It also produced an amazing high contrast hail/rain shaft, the best I have ever seen. 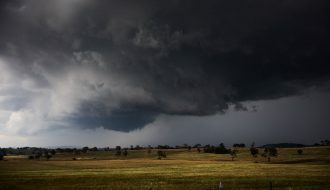 Another storm developed north of Richmond near Colo and followed the first storm into the Sydney basin, this time further west. 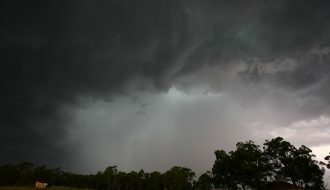 I set up at Orchard Hills and got some time-lapse of this cell which also produced some spectacular lightning. 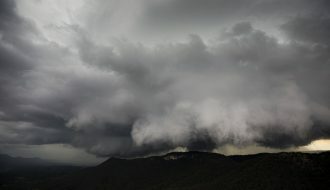 Great to see you out and about chasing these interesting storms! 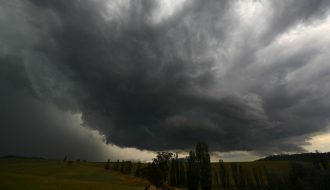 At least one of these are the storms I was under – well the storm came over me being stuck at Castle Hill RSL and restricted to the local area. I will upload the video perhaps tomorrow. My second storm may have been your first Jeff? 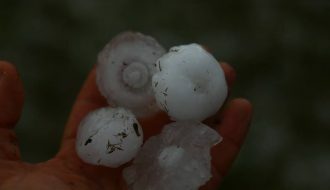 This is a close up video of the second storm. Jimmy I think you are right. The second storm was later, around 6-7pm. 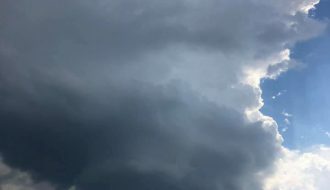 That first shot of your is very interesting, looks like some rotation there! Did you see any lightning? It was phenominal! 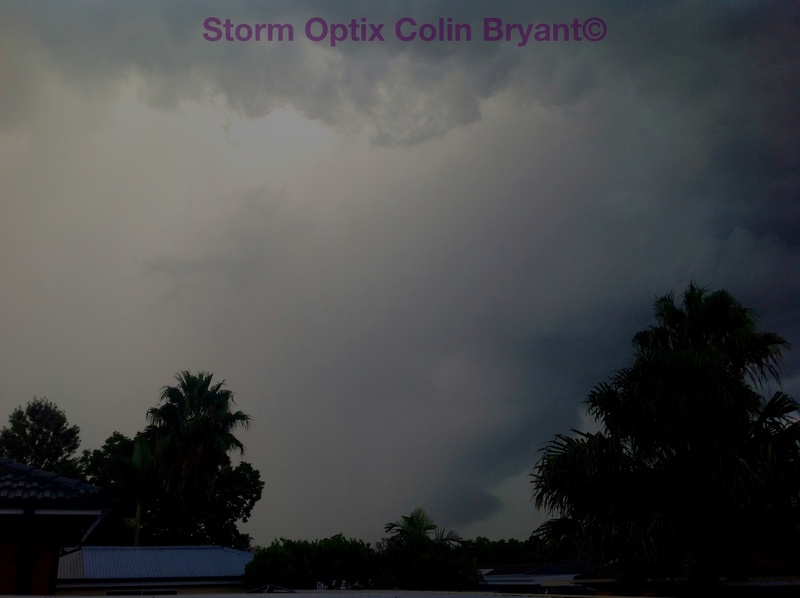 Hi Jeff, it was outflow driven though was there mid-level rotation? Not sure though the hodographs were favorable for rotation. Regardless, this storm produced deep booms of thunder probably indicative if deep atmosphere lightning!